We just passed the one-year mark of living in Kansas City. I'm not going to sugar coat it for you. We haven't enjoyed this journey as much as we had hoped. That's not to say that we haven't enjoyed any of it, but there have been more hard things than I cared to face. 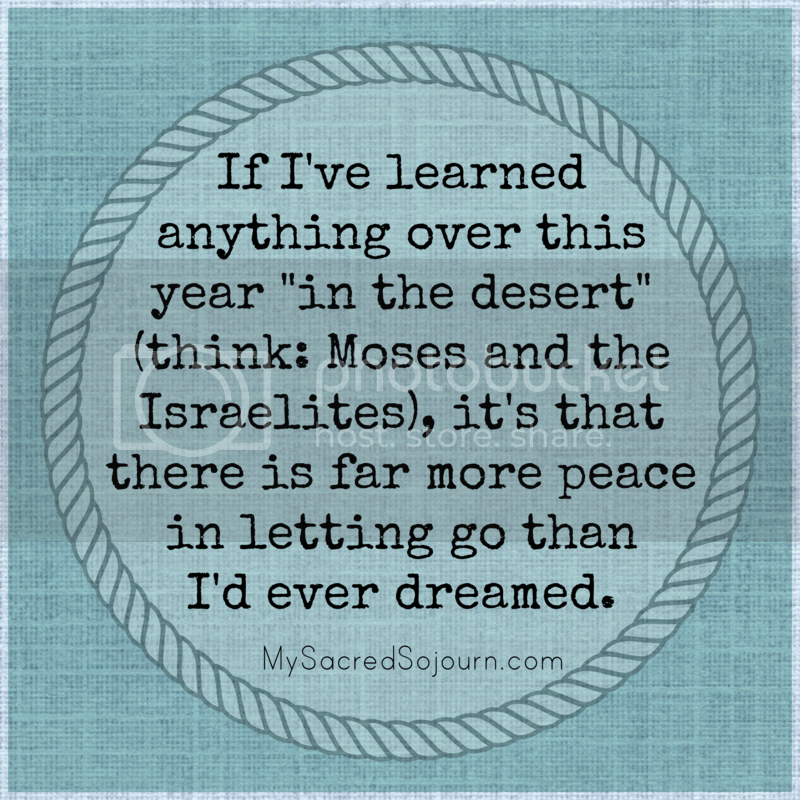 If I've learned anything over this year "in the desert" (think: Moses and the Israelites), it's that there is far more peace in letting go than I'd ever dreamed. I always select my "one little word" for the year. In 2015 my One Little Word was Brave. For 2016 my One Little Word is Open. Every time I think of that word, I think of having open hands, an open heart, an open home, an open table. I realize I'm 3 months "late" in sharing that with you, but I think it's taken me that long to understand it enough to verbalize what's going on in my heart, though I still feel miles away from full comprehension. I lived so much of my life with clenched fists wrapped tight around an illusion. I thought I was holding onto control, but really I was grasping at thin air, holding onto nothing, and spiraling out of control. In the end, I was left with anxiety-induced heart palpitations, mind-numbing depression, sleepless nights tormented by the what-ifs. This photo seems a fitting image of my journey to freedom. 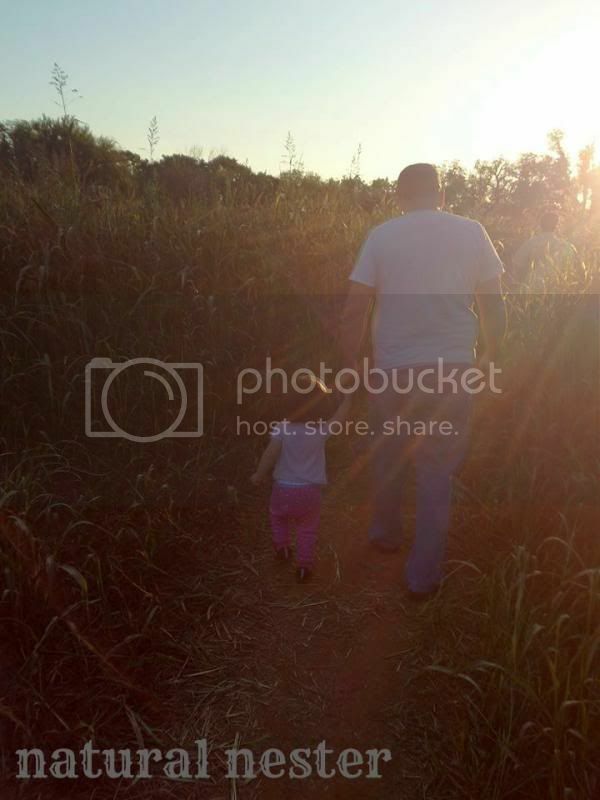 I haven't been journeying alone...I've been holding my Daddy's hand. Or rather, he's been holding mine. 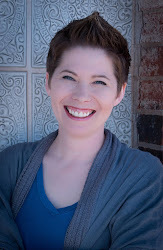 The last few years I've been on my journey to freedom (read more about that HERE). But the last year. Oh, the last year has been like living in a greenhouse...intense growth and more intense pruning. But through the process, I've come to experience the pure joy in letting go of control. People always say, "Let go and let God" and I never really understood that phrase until now. I just couldn't see through the gauze of my insecurities, anxiety, and fear. I couldn't see the joy on the other side of unfurling my fingers. I couldn't see that his open hands were waiting to pick up the pieces when I finally let go. It's not always comfortable, and yet it always feels good to have the dead cut away. Oh sure, it smarts for a moment; but then I breathe deep and let my lungs fill with possibility and I think how much better it is to live with my face to the wind and arms spread wide open to feel the breeze. I sit here, staring out our kitchen window. I just read that Kansas City is experiencing an early spring, 2 to 3 weeks earlier than normal, so the weather service says. And I can see the evidence in green leaves budding on the vines along our back fence, in the tall emerald naked ladies standing proud. 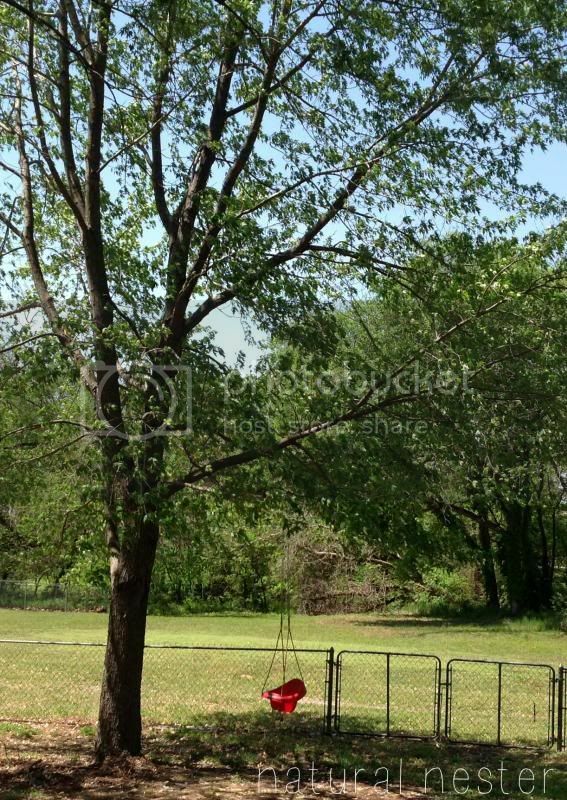 I can hear it as a dozen birds gather to sing, and argue, and mate at the bird feeder in my neighbor's yard. Spring has come to call. The sign on the greenhouse down the road says they'll open soon, and I realize that's what I've been doing too. Unfurling my petals to the world. Turning my face to the sun (and the Son) and inhaling promise. I exhale the old, stale air of control, and then I realize...the greenhouse is opening. And I am set free. This is beautiful, April. I'm sorry the KC adventure has not been what you had hoped, but maybe it's just what you need. Those chapters are never my favorite though!